Our teeth, gums, and other oral tissues don’t exist on their own — oral health greatly affects and is affected by your whole body health. You want a family dentist who takes overall well-being into consideration. Holistic dentists are on the rise, and Dr. Thomas is the holistic family dentist Southlake trusts with its smiles. Learn about the practice and how it can benefit you and your loved ones this year, and for many more to come. As your highly trained and experienced dentist, Dr. Thomas and her team perform all the basics you’d expect from a dental office — filling cavities, removing plaque and tartar in regular checkups, and replacing missing teeth. 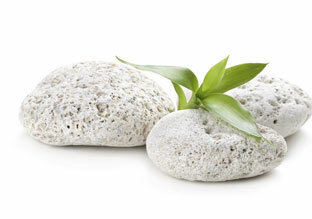 As a holistic practice, we provide care with a consideration for your overall well-being, too. 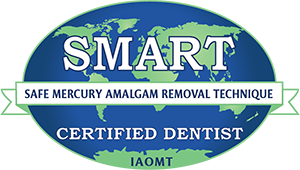 That means we’ll never use amalgam, or silver fillings, which are 50 percent elemental mercury by weight. Our approach is designed to maximize the well-being of the patient, the dental hygienists and dentist, and the environment. We are happy to care for the littlest smiles in your family — sometimes even before they have any teeth at all. Babies may have difficulty breastfeeding due to a restriction of their lip or tongue. This bit of tissue is called the frenulum, and it causes what we call lip or tongue tie. Using a soft tissue laser, Dr. Thomas removes the frenulum quickly, efficiently, and without the need for a scalpel and stitches. We enjoy growing with patients, and our team will always personalize our approach to meet every family’s needs as their smiles evolve with age. You can trust that your son or daughter is in good hands at our practice. The benefits of a well-aligned bite go beyond your teeth’s cosmetic appearance. When teeth line up the way they should, tension and stress are reduced from your jaw. Straight teeth are also easier to clean, which helps to prevent cavities and gum disease. Enclave Dental offers traditional metal braces as well as Invisalign, or clear braces for adults and teens. Both provide the same end result, but the manner of achieving straight teeth is different. For your own dental care, Dr. Thomas provides all the services you need — without any of the things you and your body don’t. The risk of gum disease increases above the age of 35, and greatly rises again after age 55. We provide deep cleanings for gum disease therapy, as well as laser periodontal therapy for more serious cases of periodontal disease. Tooth loss can also be solved with dental implants in our state-of-the-art office. We personally handle the restoration of your new dental implants after they have been successfully placed by a trusted surgical specialist, providing high-quality and biocompatible dental crowns that look and feel just like the tooth you’ve lost. We also offer traditional crowns, bridges, and full and partial dentures for tooth loss when dental implants are not an option. And once your teeth are as healthy as can be? Then the fun can begin with cosmetic dentistry. We provide safe, effective teeth whitening, porcelain veneers, and all-ceramic restorations for adults. Take advantage of having a Southlake family dentist who provides holistic care for you and those you love most. Contact us to schedule an appointment for your family today!